Selling Fine Jewelry... The Easy Way! What type of jewelry do you accept? We accept fine jewelry of the type that would be found in a jewelry store: diamonds, gemstones, gold, platinum, pearls, jade, high-end watches, and high-end designer jewelry. How much will I receive from the sale? You will receive 60% of the selling price. When will I be paid for items that have sold? Consignor checks are available for in-store pick up on the 10th of the month for items sold during the previous month. Checks that are not picked up by the 30th will automatically be mailed. If you have just a few items, it is not necessary to schedule an appointment. If you have more than about 5 items, an appointment is encouraged. Just give us a call at 503-650-6351 and ask to speak with the gemologist. How is the sales price established? Pricing is determined by several factors such as condition, style demand, craftsmanship, rarity and comparable sales of similar items. Can I price my own merchandise? You may recommend an amount to consider, however we cannot accept consignments we feel won't sell because the price is too high. Most consignors are very pleased with our price recommendations as they provide a fair return and a quick sale. Can I put a minimum sales price on my items? You have options regarding the selling price. You can specify that the price is to remain firm, or to accept offers within a certain percentage of the ticket price (for example, offers within 90% of ticket price) or to be contacted with all offers. Do you charge extra to post my items onto your Online Showroom? This additional exposure is provided at no charge. We are the only consignment store in the northwest that maintains an online database in real time of items offered for sale in our store. The consignment period is 6 months. What if my items haven't sold by the end of the consignment period? We will contact you at the end of your consignment period to see if you would prefer to reduce the price of any un-sold jewelry or if you would prefer to pick your items up. When it’s time to sell your jewelry, you should consider the benefits and peace of mind that consigning your jewelry with Upscale Consignment offers: Local and Nationwide Exposure, Trade Experience, Security and Convenience. Dual Exposure: Your jewelry receives dual exposure in our heavily secured, fully-insured jewelry cases to be viewed by thousands of customers who visit our showroom seven days a week as well as in our online showroom, ensuring nationwide exposure. Trade Experience: With a graduate gemologist and jewelry appraiser on staff, we are able to knowledgeably evaluate your items and perform any necessary cleaning in order to present your jewelry in the best condition possible, bringing you the highest possible return. Security: Your items are insured while in our showroom, displayed in our secured and monitored jewelry cases during the day and locked up in our fire proof safe at night. In addition, our store receives 24 hour monitored security provided by a professional, local security company. Convenience: We handle everything from readying your item for promotion to customers to sending you your check. If you would like to track your items along the way in the process, you can do so with personalized access to your consignor account from wherever you are, 24 hours a day, 7 days a week. There’s no reason to risk your personal safety by selling jewelry to strangers. Choose to enjoy the peace of mind and satisfaction that comes with letting the professionals do it for you. Are you ready to get started? Click here to send us your photos! How does jewelry consignment work? Once you items have been approved for consignment, we test and evaluate each piece, establish a fair price for your item in the secondary market, promote your items and when they sell, we send you a check for 60% of the selling price. 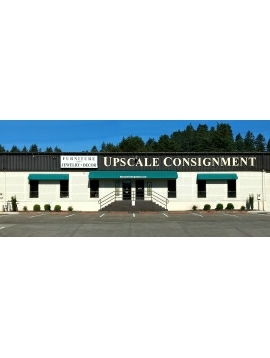 How do I go about having my items approved for consignment? We understand that sometimes people are not sure what they have, and that is not a problem. 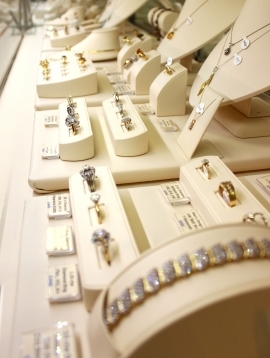 Our graduate gemologist will be happy to sit down with you and review your items with you. If you have just a few items that you are interested in consigning, it is not necessary to schedule an appointment, just bring your items in along with any paperwork (purchase receipts, appraisals, etc.) into the store for review. If you have more than about 5 items, an appointment is encouraged. Just give us a call at 503-650-6351 and ask to speak with the gemologist.